Nanaimo home sales decreased 21% in May 2018 when compared with May 2017. The average sale price increased 7%. The median house price was $555,000. Parksville/Qualicum home sales decreased 37% in May 2018 when compared with May 2017. The average sale price increased 11%. The median house price was $610,000. 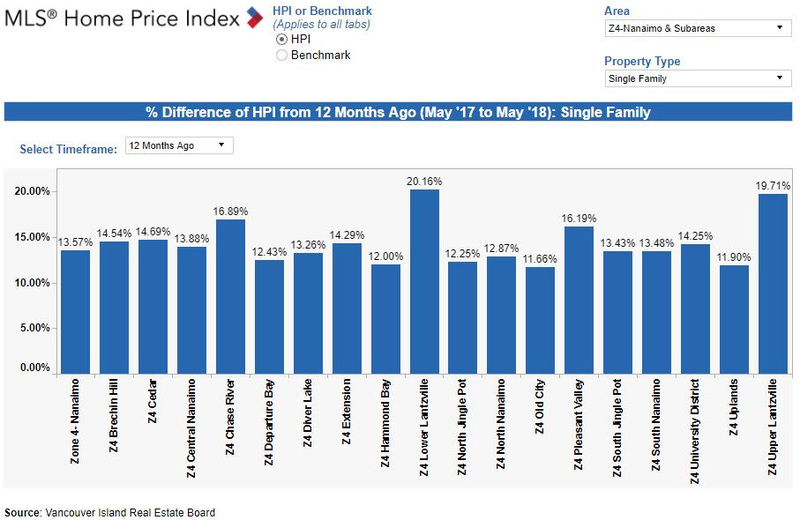 In Nanaimo for May 2018 there were 358 active listings of single family freehold homes, which is 20% higher then May 2017.
only work for either the buyer or the seller in a single real estate transaction. Under the new Rules, dual agency, the practice of acting on behalf of both the buyer and seller on the same trade, will be prohibited except in extremely limited circumstances. These new rules are due to come into effect on June 15, 2018, so please be aware that after this date there are new and additional forms to go through with your realtor!